In celebration of Valentine’s Day this Saturday, we’re sharing the stories of couples who met on MetroBus or MetroLink. 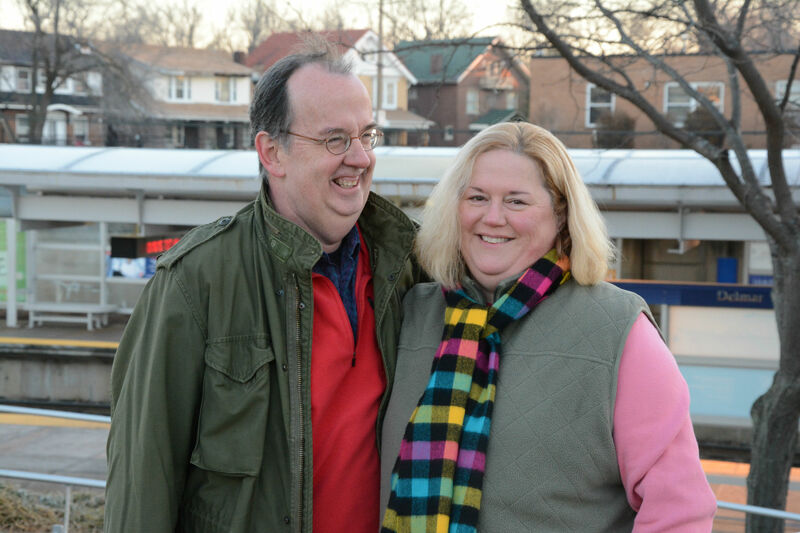 This week’s Passenger Profile features the story of our next couple, Amy and Ted. Ted doesn’t remember the specific conversations he had on the bus back in 1980, but what he does remember is who he had those talks with ─ his future wife, Amy. Back then, it was the City Limits route that took Ted and Amy to and from the University of Missouri-St. Louis (UMSL) campus. At the time, she lived in University City and he was living with his mom near Richmond Heights. Ted and Amy were in the same women’s studies class at UMSL, where Ted was the only guy in the room. He admitted that a key reason for signing up for the course was to meet women, however, he had trouble finding the courage to strike up a conversation on the bus. It wasn’t easy at first. In fact, it fell to Amy to make the first move. Her strategy worked, and this year they’ll celebrate their 29th wedding anniversary. Ted continues to use Metro today. On a typical morning, Amy drops Ted off at the Delmar Loop MetroLink Station on her way to work at Saint Louis University, and he takes the train to UMSL’s campus, where Ted is now employed. 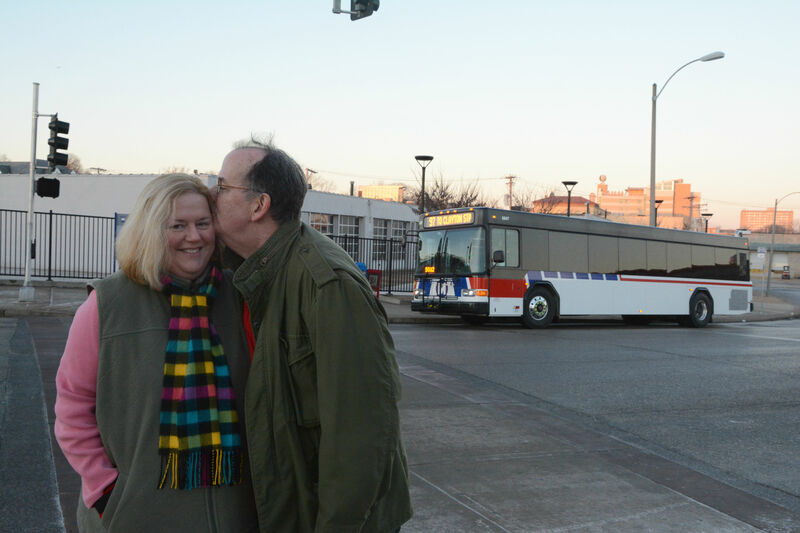 If Amy is unable to drop Ted off, he’ll ride the #97 Delmar MetroBus to the station. Ted has been using public transportation all of his life. When he was growing up in Virginia, his family only had one car. Ted said he would have met his wife with or without the help of the City Limits bus route, but it would have been much harder.